Everyone needs a chance to feel a part of something. Sometimes, that means joining an organization, rooting for a team or even listening to certain music. However, I always try to remember that while it is easy for some to feel included, our students often feel the pressure, stress and anxiety of feeling excluded and isolated. It is extremely important for us to provide them a safe atmosphere where they can feel like they belong, and are included. I have learned so much from my PLN (Personal Learning Network), and I have often been inspired in the most surprising ways. Last year I saw a member of my PLN, a principal from Wisconsin named Curt Rees, use his dress and style as an opportunity to make himself more approachable to his students. Always looking for a way to connect with my students, I decided to follow his lead. 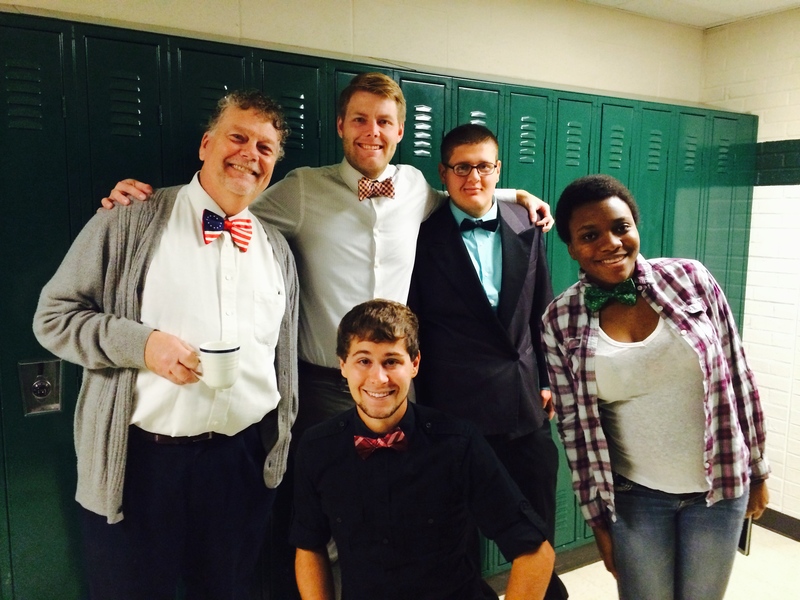 Bow Tie Tuesday at Allegan Alternative High School did not start out as an attempt to make anyone feel included. 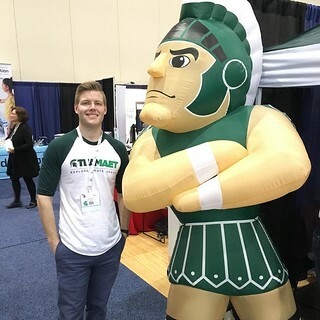 In fact, it probably started last fall when I wore a Michigan State bow tie that I found online, in an attempt to be the “obnoxious Spartan fan” my students groan about. However I noticed that every time I wore a bow tie, more students would approach me to ask about it, and this led to more “personal” conversations. Meaningful conversations with students are always valued, but especially so with students who often avoid any non-academic interaction, much less approaching me to chat about clothes or life. Bow Tie Tuesday was finally born around last June when a student approached me about also wearing a bow tie on the days I did. It was this request that finally opened my eyes to the ability for Bow Tie Tuesday to be a tool to connect more with my students. exciting, what I really loved was the tens of students asking how they could get involved. Students from every social clique, age, family background and academic level. As we move throughout the year, my goal is to get more students involved in our quirky event. As a teacher, it is by far one of the least time consuming and easy parts of my week. However it has created another shared experience for our students, many of whom are grasping for that experience with someone. Hopefully more will continue to buy in, whether that be creating posters to get the word out, or borrowing one from a friend. Either way, Bow Tie Tuesdays have reminded me that sometimes it really is the simplest, smallest act that makes a noticeable difference with our students. We are fortunate to have you on staff, and the students at AAHS are lucky to have someone so willing to make those connections. Thank you, thank you, thank you. Very cool idea and very simple. I remember having a chemistry teacher who wore a different tie every day of high school. While I do not remember the elements of the periodic table; I do remember those conversations with him more than 12 years later. Go Green!